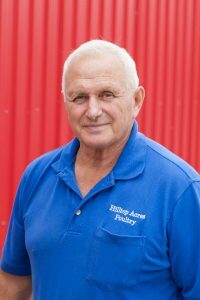 Meet Don and Karen Reist - Hilltop Acres Poultry Products Inc.
Don and Karen Reist are the heart and sole of Hilltop Acres Poultry Products. Don has farmed his whole life in the Bloomingdale area and was joined by city girl Karen in 1964. 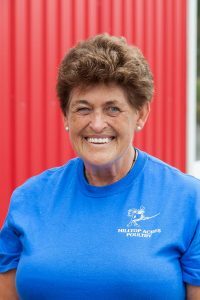 They started raising and selling chickens in 1969 and grew into further processing and selling at the market as well as at the farm. Hilltop Acres has been doing business at the St. Jacobs market since the market opened! Their business grew through the years as did their family. Don and Karen have two lovely daughters Vickie and Donna who live in the area as well. Vickie actually got them into making ground turkey and chicken as well as sausage. In 1986 Vickie had a roommate in university that could not eat red meat. She really wanted ground beef! So Vickie asked if we could grind up some turkey or chicken for her? And so our product line grew! The rules were very different in 1969 as you could raise, kill and sell poultry right from your farm. Now you must take the poultry to an abattoir for proper, humane slaughtering and government inspection. The food industry has gone through many changes as farmers try to supply customers with safe, humanely raised meats. We are proud to be apart of the Canadian Farm Family!